A protest against Kinder Morgan's Trans Mountain pipeline expansion in Vancouver Saturday could be a preview of demonstrations to come, says Vancouver Mayor Gregor Roberston. Thousands of protesters converged on Vancouver to voice their opposition to a proposed expansion of the Kinder Morgan Trans Mountain pipeline. Shouting anti-pipeline slogans and waving placards, the protesters made their way north from city hall across the Cambie Street Bridge. Vancouver Mayor Gregor Robertson warned that Saturday's rally could be a preview of more demonstrations to come. "I think you will see protests on this one like you have never seen before," Robertson said in an interview on The House with Chris Hall. "I think it is perilous politically." Green Party leader Elizabeth May, who joined the protest, voiced a similar warning. "I want Justin Trudeau to do the right thing," May said. 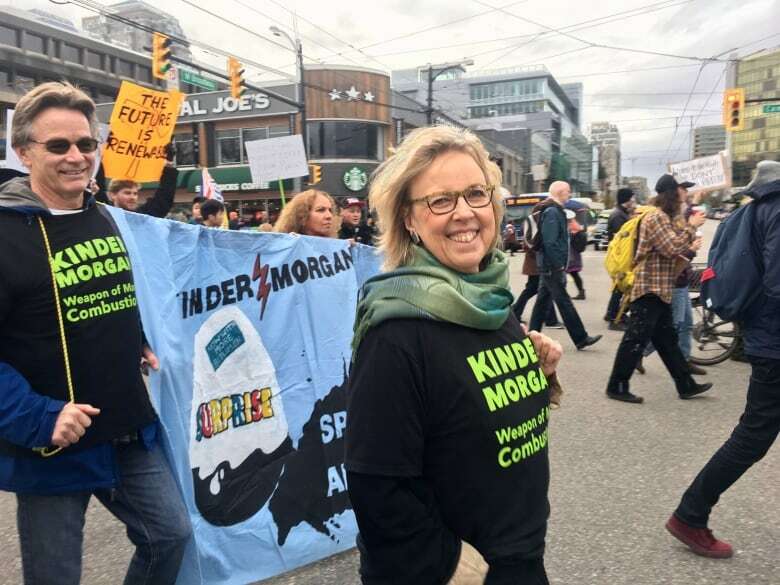 "If [the government] approves the Kinder Morgan pipeline, they will see such hell-raising from British Columbia that they will feel it shake the foundation of Parliament," May said. Saturday's rally was organized by a group called Climate Convergence Metro Vancouver. 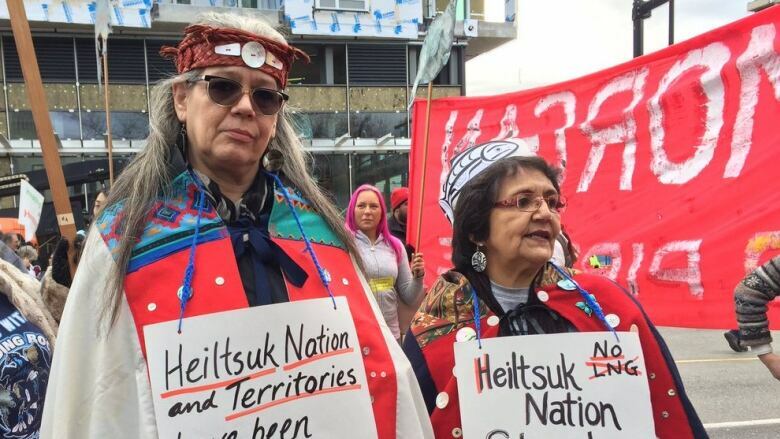 First Nations leaders, members of parliament and environmental activists were among those calling for Trudeau to reject the proposed pipeline expansion. Protesters held placards with signs that read: "No Consent, No Pipeline," and "Keep it in the ground." Some cars honked their horns in support. The federal government has promised to deliver its decision on Kinder Morgan's $6.8-billion project, which would triple the capacity of the existing pipeline linking the Alberta oilsands with Vancouver Harbour, by Dec. 19. "I certainly hope they are not inclined to say yes. This has to have a stringent review and it hasn't yet," said Robertson. The Facebook page for the event says the protest is "in solidarity with Indigenous water protectors at Standing Rock as they struggle to stop the Dakota Access Pipeline," which has been ongoing for months.